Reshape expand its network and become a partner with WASP. WASP (World’s Advanced Saving Project) is a project focused on developing 3D printing and finds its roots in the world of Open-source, trying to give and put into circulation know-how and tools. 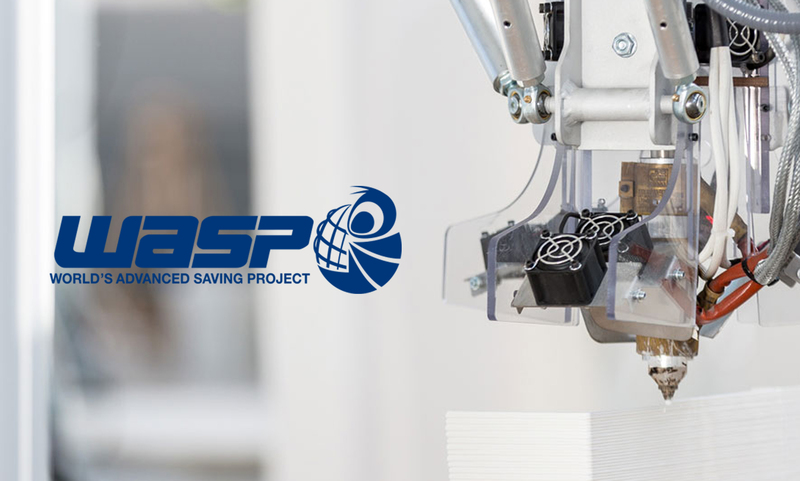 WASP manufactures solid professional printers with the aim to encourage sustainable development and in-house production. WASP also becomes WASPMed, and after several years of hard work and devoted research to the medical sector, WASP launches the Digital Orthopedic Laboratory, a complete system to move digital manufacturing to orthopaedics too. The solution consists of a column scanner for body-data-acquisition, a workstation to design the aids and control the machines, two 3D-printers realize the aids and innovative materials studied on purpose and tested by WASP for the medical sector. From Wasp, Davide Neri Marketing and International Development Manager for WASP will be part of the jury members of the Reshape18| sensing materialities competition for the Product design category and he will take a stake at the Reshape Forum in a Roundtable session. The selected designer from the Reshape competition will meet Wasp during the Reshape Forum, presenting their project at the Reshape and IN(3D)USTRY – From Needs to Solution audience and in a face to face meeting, discussing the project submitted and how they could move further answering at the market needs.